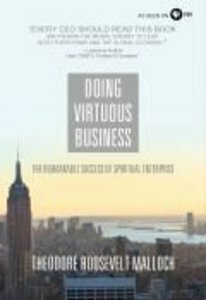 Doing Virtuous Business explains the true purpose of business and illuminates the connection between a free economy and religious liberty. Drawing from the notion of "social capital," which has been developed by generations of scholars, Malloch adds the concept of "spiritual capital" as a foundation for social progress and also a necessity for responsible and successful enterprise. He details the virtues that sustain a business and a free market?virtues that build up a network of trust, which is critical to the global economy.